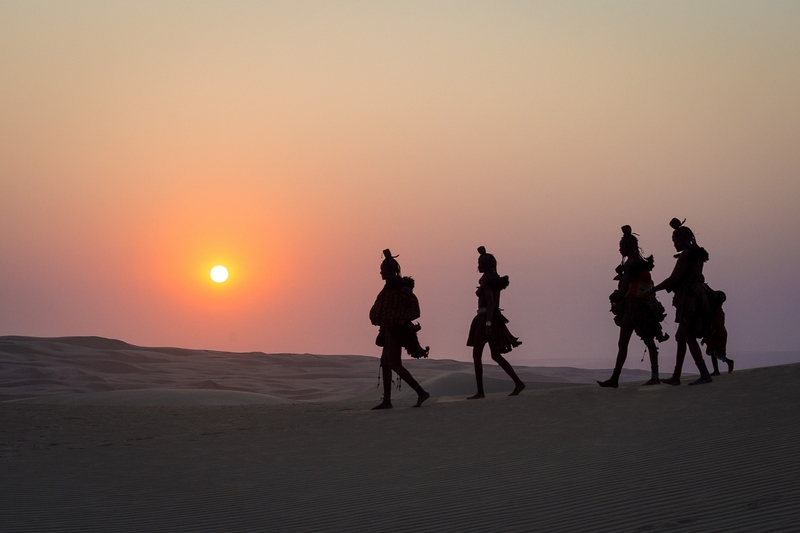 Photograph desert-adapted wildlife, view shipwrecks on the Skeleton Coast, meet the local Himba people, experience breathtaking night skies and experience the mammoth sand dunes of Sossusvlei on an incredible 14-day safari in Namibia. At Travel Beyond, we believe your trip should be designed just for you, not for the masses. Our travel consultants create a custom itinerary for each client, offering recommendations for places and experiences that best fit your style. 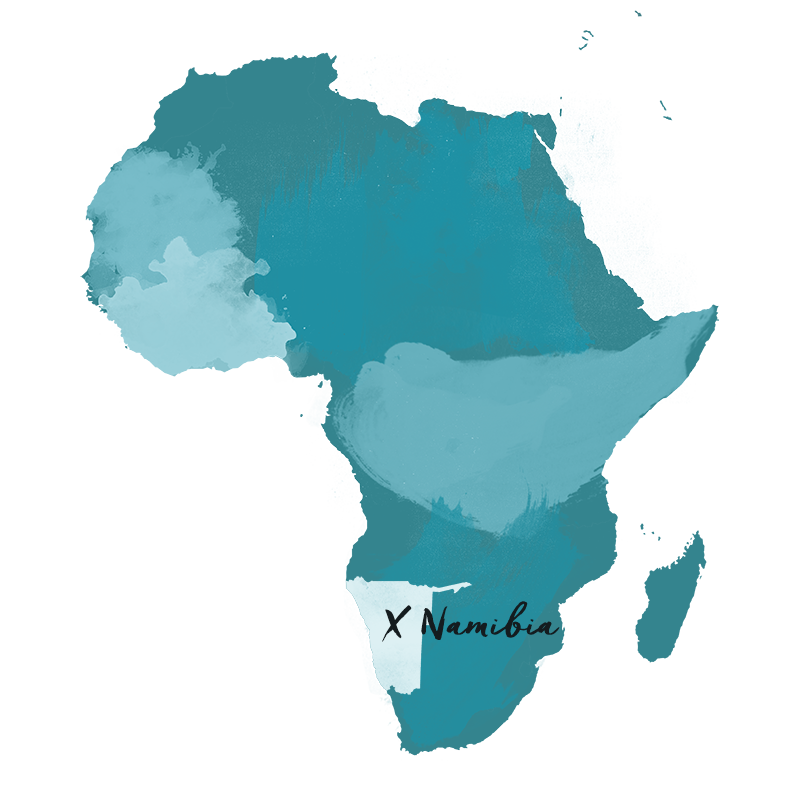 The itinerary below was planned for a past client, but we’re sharing it for travel inspiration and as an example of what a trip to Namibia might look like. Let us know when we can design a trip just for you! Upon arrival in Windhoek, you will be met by a Travel Beyond representative for your private transfer to the Olive Exclusive, where you will spend one night. Enjoy the remainder of your day at leisure. This morning after breakfast and checkout, you will be met by a Travel Beyond representative for your private transfer to the Windhoek Airport for your light aircraft flight to Sossusvlei. Upon your arrival at the Sossusvlei Desert Lodge Airstrip you will be transferred to the lodge. 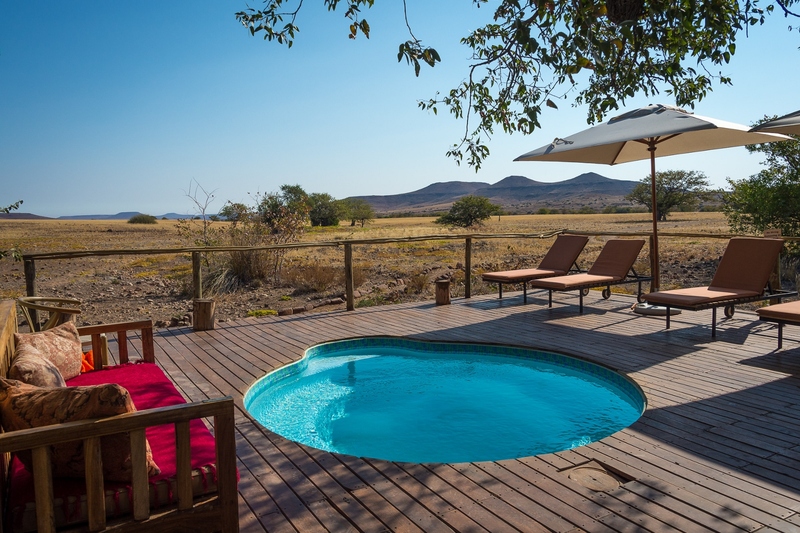 During the afternoon you can explore the area on one of the scheduled activities as arranged by the lodge or you can just relax and soak in the scenic and tranquil surroundings at Sossusvlei Desert Lodge. 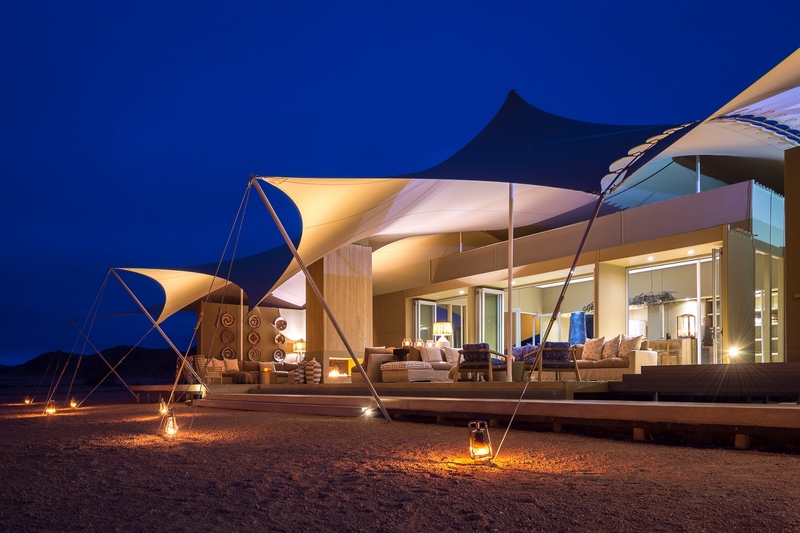 Sossusvlei Desert Lodge, situated in the northern foothills of the NamibRand Nature Reserve, is designed to make the most of its breathtaking surroundings whilst providing a sophisticated and luxurious stay. The lodge consists of glass and stone curves, where walls and windows fold away completely to open out to the grassy plains, distant dunes, and mountain ranges. Each spacious, air-conditioned suite features a shaded deck, split level bedroom and living room with fireplace for cool evenings, en-suite glass encased bathroom and outdoor shower. Star gazing is a highlight with a star-viewing sky light in each room and an observatory with a powerful telescope. The lodge has a resident astronomer who will help you see the many constellations in the night sky. 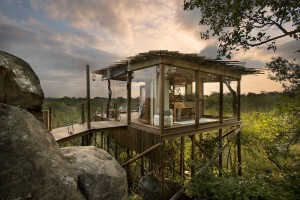 Guided activities on offer include scenic 4×4 nature drives, fascinating walks and exhilarating quad-biking excursions. On safari! Enjoy your morning and afternoon game drives. This area boasts some of the world’s largest free-standing dunes. You will explore the area on foot before enjoying a scrumptious picnic breakfast under a shady tree. You also will visit the Sesriem Canyon, before returning to the lodge for lunch. Enjoy your afternoon at leisure, or partake in any of the activities offered at the lodge. Sossusvlei is a clay pan set amid monstrous piles of sand known as star dunes that reach the height of a 70 story skyscraper and rank among the tallest dunes on earth. A deathly white against red sands, the pan is the endpoint of a usually dry river, Tsauchab, in the interior of the Great Sand Sea. The river course rises south of the Naukluft Mountains in the Great escarpment. It penetrates the sand sea for some 55km before it finally peters out about the same distance from the Atlantic. Until dunes stopped it in its tracks 60,000 years ago, the Tsauchab reached the sea, as ephemeral rivers still do in the northern half of the Namib. Sand-locked pans to the west were endpoints before Sossusvlei. The dunes in the vicinity of Sossusvlei get to be as high as 220m. At the entry to Sossusvlei is Sesriem Canyon, where centuries of erosion have incised a narrow gorge about 1km in length. At the foot of the gorge, which plunges down 30-40 m, are pools that become replenished after good rains. Sesriem derives its name from the time when early pioneers tied six lengths of rawhide thongs together to draw water from the pools. This morning you will depart Sossusvlei Desert Lodge before sunrise, and be transferred to the take-off area for your thrilling hot air balloon adventure. You will experience the wonders of Sossusvlei and its towering dunes and desert landscapes from a hot air balloon. On landing (wherever the wind has taken you) you will delight in a champagne breakfast and your pilot will present you with a flight certificate. After breakfast a lovely nature drive takes you back to the take-off point. (Ballooning is strictly weather permitting). The rest of the day is at leisure and you can relax at the lodge, explore the surrounding area or take part in any of the activities as offered by the lodge. After a leisurely breakfast you are transferred back to the airstrip to board your private light aircraft flights to the Skeleton Coast National park. 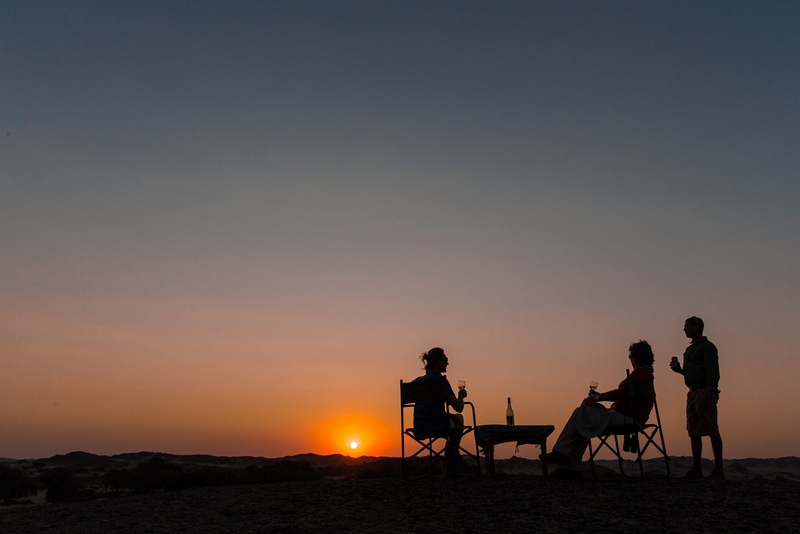 On arrival at the airstrip you will be met by your local lodge guide who will transfer you along a scenic route to reach the secluded Hoanib Skeleton Coast Camp, where you will spend three nights. 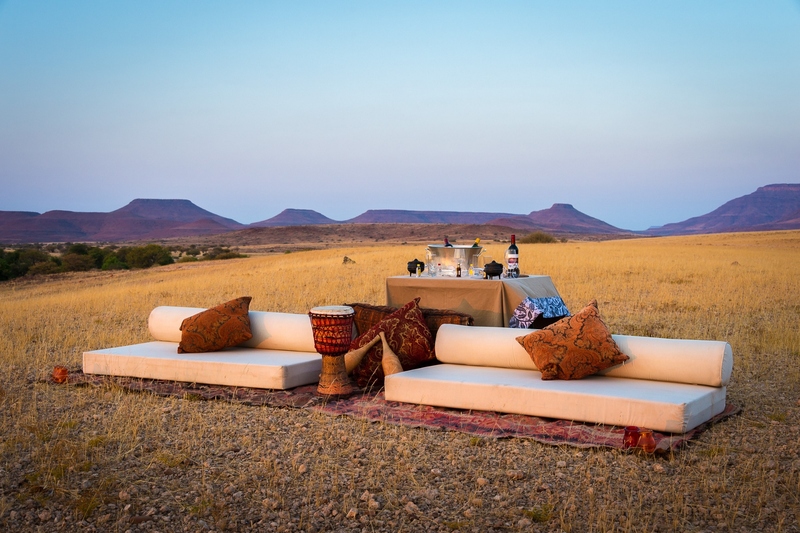 Your days will be filled with exciting activities lead by your local lodge guide – these include nature walks, game drives, exploratory day excursions with picnic lunches and coastal visits exposing the astonishing desert-adapted wildlife, plants and birdlife of the area. 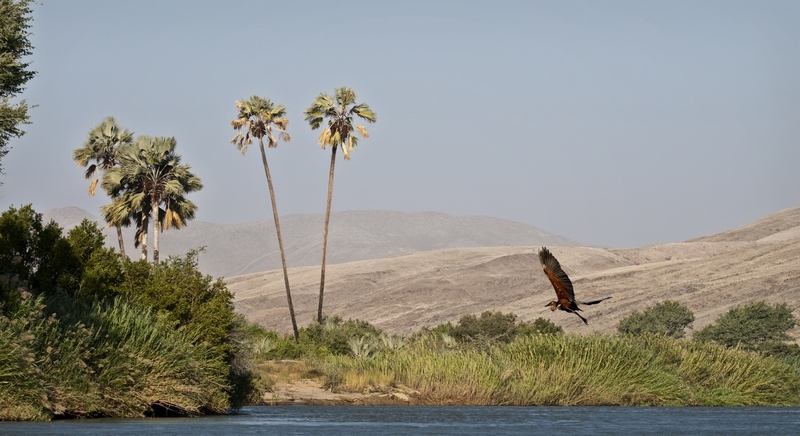 Scenically located in a broad valley at the confluence of two tributaries of the Hoanib River, in the northern part of the private Palmwag Concession, lies the exclusive Hoanib Skeleton Coast Camp. 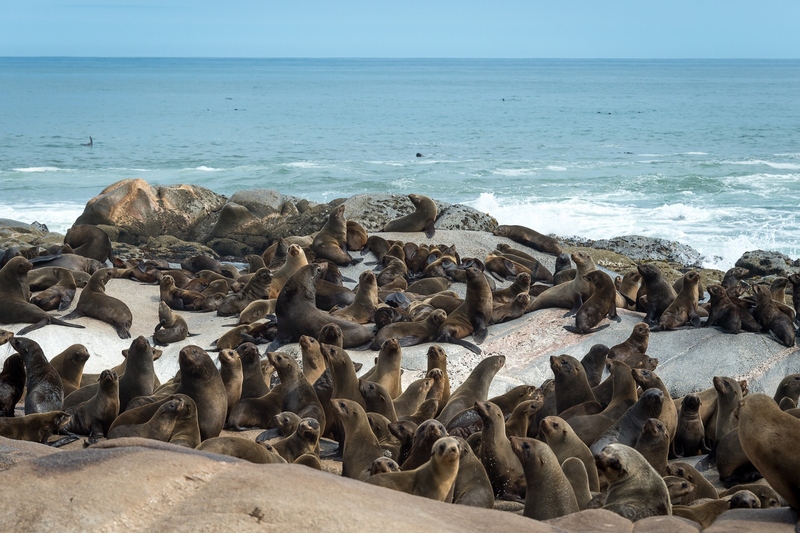 Its location thus straddles the Palmwag area and the iconic Skeleton Coast National Park, in one of the most remote areas of the Kaokoveld. The Kaokoveld is a land of rugged scenery, a harsh and historic coastline, mountains, vast plains, and dry riverbeds inhabited by incredible desert-adapted plant and animal life. 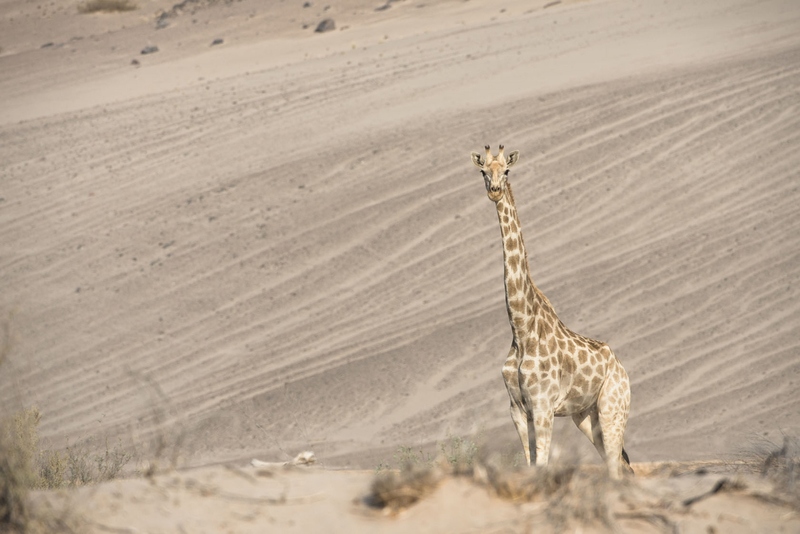 Despite the arid environs, there is a surprising diversity of both fauna and flora within this extraordinary area, offering excellent sightings of giraffe, various antelope such as oryx and springbok, various birds specifies including birds of prey, and seasonally you have a very good chance of seeing the desert-adapted elephant. Both lion and brown hyena frequent the area, with research projects currently conducted on these and other predators the area. You’ll be able to learn more about these research endeavours at camp, even if the actual sightings are rare. The next two days are spent on memorable scheduled activities such as exciting game drives searching for desert adapted wildlife, and guided walks. On one of the mornings after breakfast you can enjoy a memorable activity into the Skeleton Coast National Park, boarding a light aircraft to enjoy a scenic flight to the coast with an excursion on the coast to a small seal colony, dune driving, visits to the Little Oasis spring and possible lunch next to the last remaining remnants of the Suiderkus shipwreck before returning to Hoanib Skeleton Coast Camp with enough time to relax and enjoy a ‘sundowner’. After breakfast, you will be transferred to the airstrip for your light aircraft flights to the Marienfluss Conservancy. On arrival at the airstrip you will be met by a vehicle and guide and transferred through stunning scenery to the Serra Cafema Camp where you will stay for the next two nights. You arrive at the Camp in time for lunch and the next two days can be spent on activities of your choice exploring this very special area (quad biking, river cruises, nature drives and walks, visits to the local Himba community). Serra Cafema is an exclusive, remote retreat in the Hartmann’s Valley in northwestern Kaokoland. 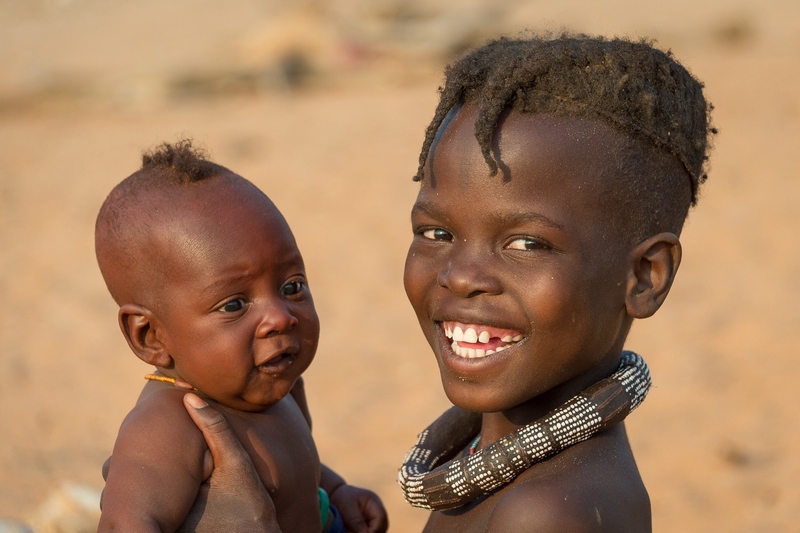 The area surrounding Serra Cafema is inhabited only by the nomadic Ova-Himba people, allowing guests the opportunity to learn about this culture’s relatively untouched lifestyle and traditions (if there are villages currently in the area). A highlight is the cultural interaction with these local people. 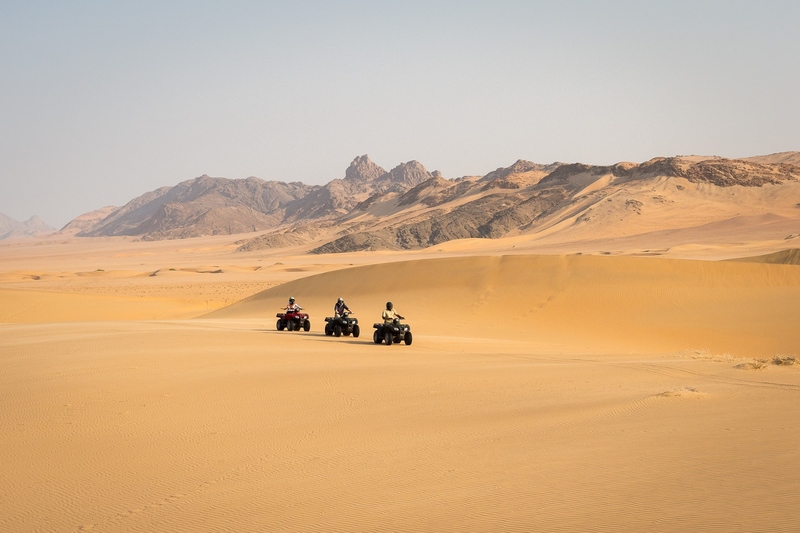 Other activities include boat trips, fishing, birding, guided walks, quad biking (ATVs) and 4×4 nature drives to explore the surrounding area of dunes and rugged mountains. Your two nights here will really allow you to get away from it all. Today you can enjoy a full day of exciting and informative guided activities after discussions with your local guide and as arranged by Serra Cafema. Activities at Serra Cafema are varied and revolve around the exploration of surrounding Namib Desert sands and the lush oasis along the river. 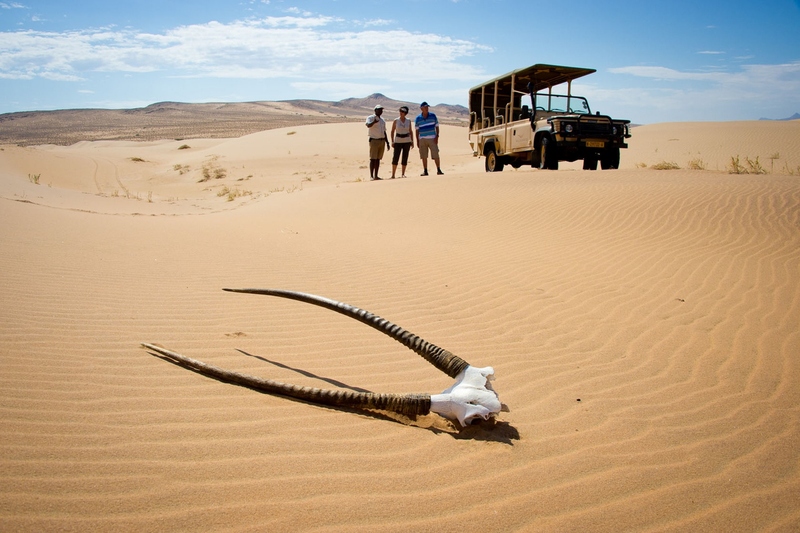 Enlightening nature drives and carefully guided quad bike excursions through the fragile dunes allow guests to experience the true Namib in its unbridled glory. 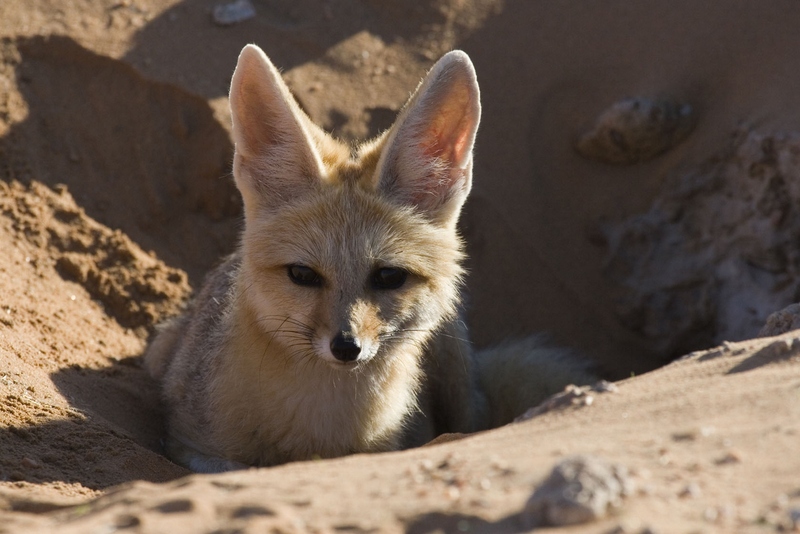 The utmost care is taken to tread lightly on the dunes and preserve the unique and delicate habitats of this fascinating landscape. Boating (seasonal) on the Kunene River provides guests with the opportunity to venture through the lush riverside oasis. Crocodiles and water birds seem out of place in this surreal, lunar-like landscape. Walking in the remote mountain and river valleys is also a highlight, as is a visit to a Himba settlement – one of the last true nomadic people in Africa. The fairy circle phenomenon is also best viewed in the Hartmann’s Valley. The Himba, Tjimba and other Herero people who inhabit Namibia’s remote north-western Kunene Region are loosely referred to as the Kaokovelders. Basically Herero in terms of origin, language and culture, they are semi-nomadic pastoralists who often tend from one watering place to another. For many centuries they have lived a relatively isolated existence and were not involved to any noteworthy extent in the long struggle for pasturelands between the Nama and the Herero. The largest group of Kaokovelders is the Himba, semi-nomads who live in scattered settlements throughout the Kunene Region. They are a tall, slender and statuesque people, characterized especially by their proud yet friendly bearing. The women especially are noted for their unusual sculptural beauty, enhanced by intricate hairstyles and traditional adornments. They rub their bodies with red ochre and fat, a treatment that protects their skins against the harsh desert climate. The homes of the Himba of Kaokoland are simple, cone-shaped structures of saplings, bound together with palm leaves and plastered with mud and dung. A family may move from one home to another several times a year to seek grazing for their goats and cattle. Men, women and children wear body adornments made from iron and shell beads. You will rise early this morning for another memorable guided activity. Afterward, you will be transferred to the local airstrip for your light aircraft flight to the Palmwag Concession. On arrival at the airstrip you will be met by your local lodge guide and transferred by vehicle to Desert Rhino Camp, arriving in time for lunch. The transfer from the airstrip to the camp will also act as a nature drive to give you a taste of this exceptional area and the many different (and some endemic) species of flora and fauna that can be found here. After lunch you will have time to freshen up and relax before heading out on an exciting scenic nature drive later in the afternoon. The Palmwag Concession spans 4,500 square kilometers of arid wilderness transected by Ephemeral River courses which, along with the occasional natural spring, provide an oasis to the wildlife that have adapted to this harsh environment. The rugged mountains and river courses provide a refuge for some of the continent’s most unique wildlife such as the legendary desert elephant, lion and the last free-roaming black rhino population on earth. 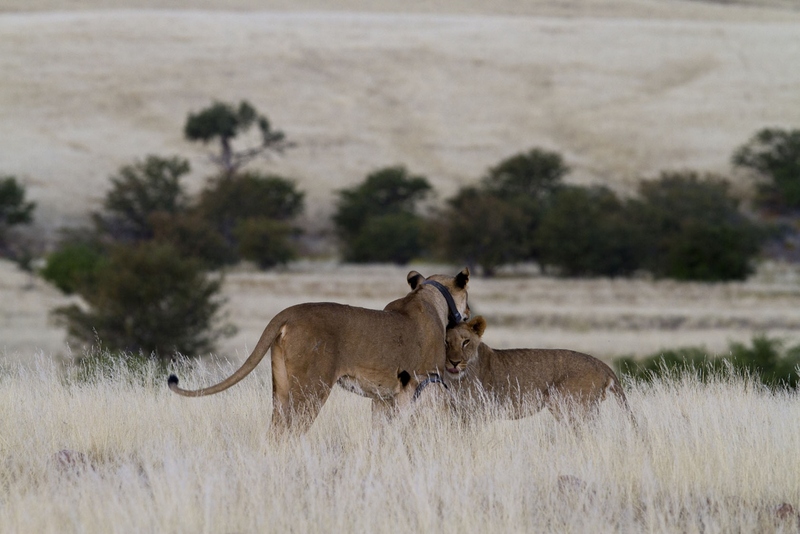 In fact seventy-five per cent of Namibia’s endemic species inhabit this last bastion of the wilderness. 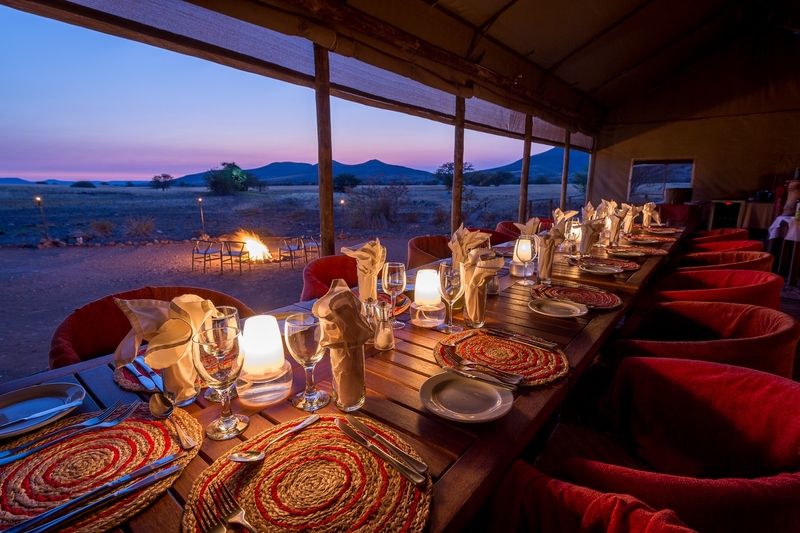 Experience the wilder side of Africa where only the sporadic roar of lion or cackle of hyena punctuates the silence of the night. 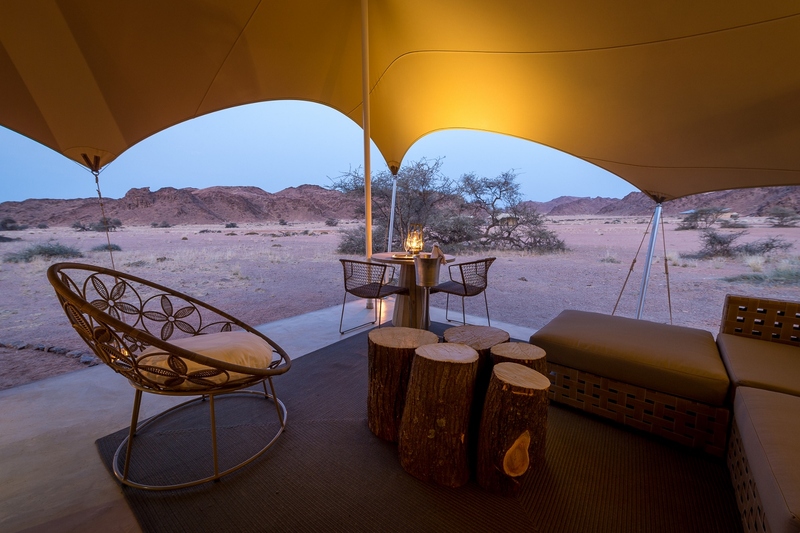 Desert Rhino Camp is a comfortable and charming tented camp located on the unique Palmwag concession in rugged northern Damaraland. This camp offers a fascinating insight into the ecology and conservation of the area as well the incredible desert adapted black rhino. Desert Rhino Camp lies amongst rolling, rocky hills with scattered euphorbia, ancient Welwitschia plants, scrubby vegetation and isolated clumps of trees of the Palmwag Concession. This region is marked for its tranquil, minimalist beauty, surprising wealth of arid-adapted wildlife and the largest free roaming black rhino population in Africa. 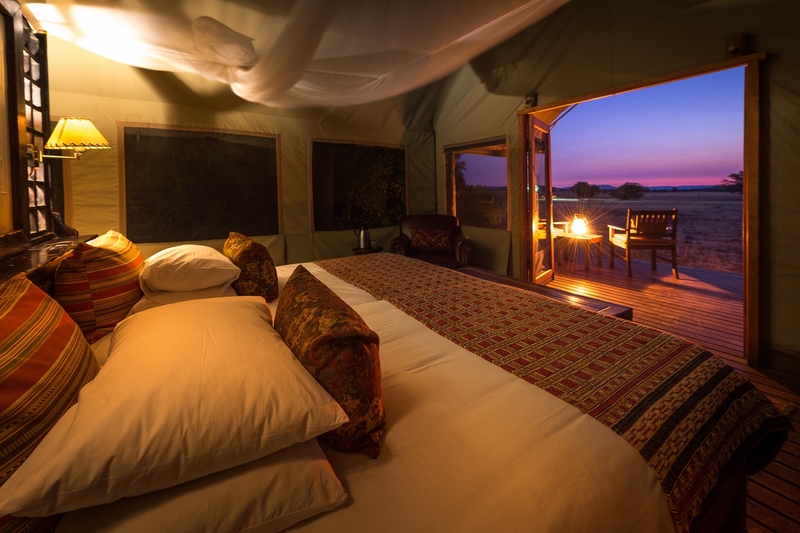 Set in a wide valley sometimes flush with grass, accommodations at Desert Rhino Camp are in Meru-style canvas tents raised from the ground on a wooden deck. An extension of the deck functions as a front veranda where guests can relax in director’s chairs to take in the magnificent vistas of the surrounding desert and Etendeka Mountains. Activities during your stay here include guided 4×4 scenic drives, rhino tracking, nature walks, birding and nature drives. 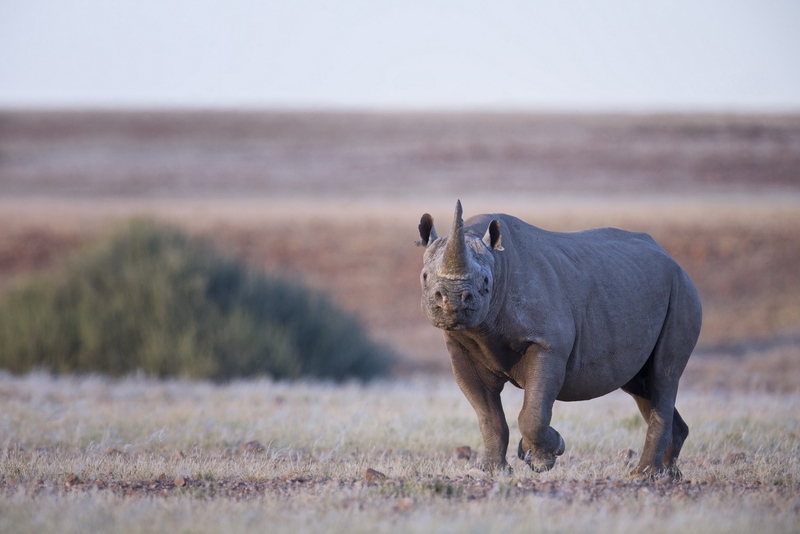 Desert Rhino Camp functions as a collaborative effort between Wilderness Safaris and the Save the Rhino Trust (SRT) – an NGO that has been has been instrumental in the preservation of these rare, desert adapted black rhino. Having barely survived the slaughter of ’80s and ’90s throughout other parts of Africa, the black rhino population has doubled since the formation of the SRT. Today will be spent embarking on various guided excursions within the expansive Palmwag Concession as arranged by Desert Rhino Camp. You will spend an exciting and memorable morning out rhino tracking, followed by a picnic lunch before returning to camp in the early afternoon. Relax at camp until you head out again later in the afternoon for a scenic nature drive or walk. Namibia is home to the larger of two subspecies of the black rhinoceros found in southern Africa. 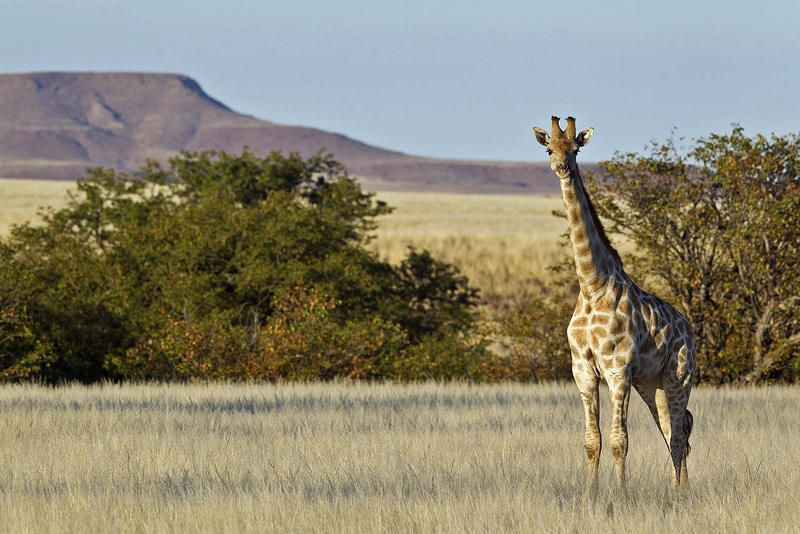 The only population that remains in the wild, unfenced and outside reserves occupies an arid range in the western Kaokoveld. Once widespread in the subcontinent, black rhinoceros are an endangered species. After a leisurely breakfast you are transferred back to the airstrip for your light aircraft flight to the Etosha National park. 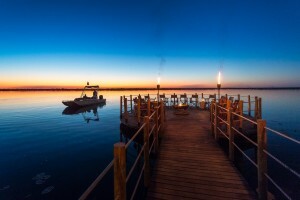 Upon arrival, you will be met by your guide and transferred to the Ongava Lodge, where you will spend two nights. This afternoon after lunch, meet your guide for an afternoon game drive in the Ongava Game Reserve. 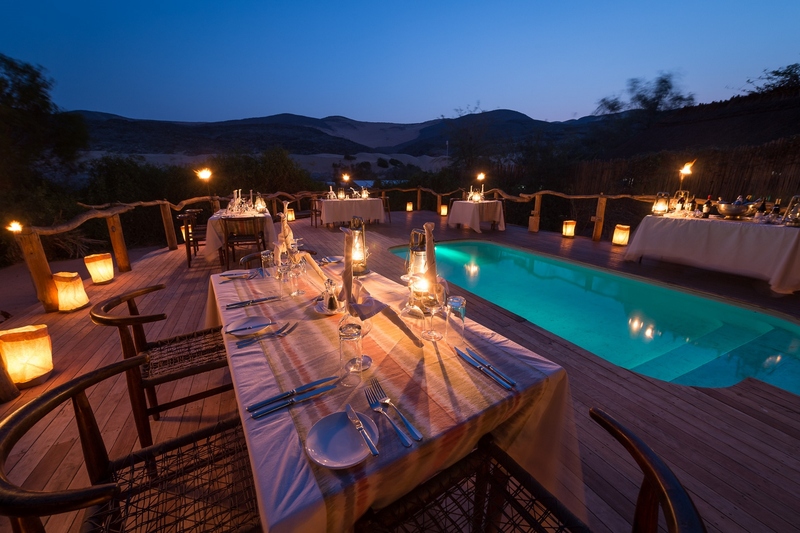 Dinner will be served at the lodge in a thatched dining area overlooking the watering hole, watching as wildlife congregate and interact. After a leisurely breakfast you will be transferred back to the airstrip for your light aircraft flight to the Windhoek International Airport, where you will be met by a Travel Beyond representative, before checking in for your onward international flight.